A SmartPipe™ system installs quickly -- usually in a day or less. When we send a crew to encapsulate your crawl space, one worker can be installing your drain while the others install the rest of your crawl space system. DBS offers free estimates in Superior, Duluth, Minneapolis - schedule yours today! DBS can help you have a healthier crawl space and home. Schedule a free estimate with us to get started! 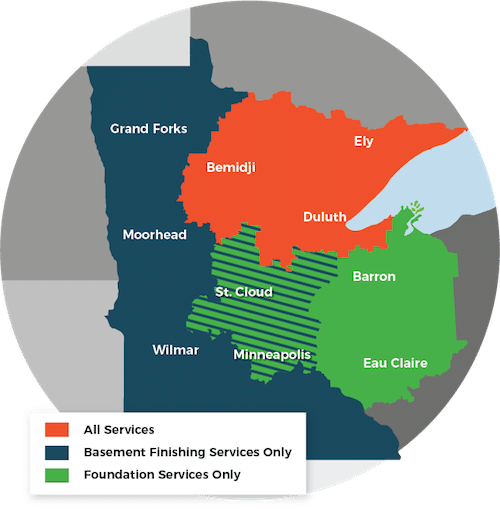 We service Superior, Duluth, Minneapolis and many nearby areas in Minnesota and Wisconsin.